At Kaleidoscope we really believe that giving something back is key to success. Spending all your time focusing on growth and profits is not good for the soul and we were really pleased when the opportunity came up for our Managing Director, Catherine Adamson, to volunteer her time and experience within a local social enterprise. 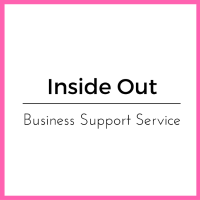 Inside Out is a business support service that helps women in prison gain new IT skills, brush up on old ones and generally get ready for employment after a custodial sentence. The project replicates a live office environment where women from the prison complete work outsourced from local businesses. Not only does Inside Out help women practice their existing skill set, but the project also supports women to gain skills that would otherwise be difficult to develop in a custodial setting. The women increase their confidence, develop their administrative skills, gain valuable experience with social media and IT packages and learn to liaise with the business community. Catherine spends her time mentoring the key worker within the organisation as well as providing support, training and mentoring for the ladies working within the social enterprise. Having spent the last 9 years building and running her own highly successful virtual assistant business, Catherine is now able to help others develop their skills and improve their confidence in advance of release from custody. Building a woman’s confidence means when they come to the end of their sentence and are ready to look for employment, they are equipped with the relevant experience. This in turn reduces their risk of re-offending and provides them with the ability to create an independent future. Inside Out is part of the Together Women Project which moves women out of crime into positive futures, working with them in safe, women-only spaces, building resilience and developing strengths that enable them to move away from damaging lifestyles. To read more about Together Women and Inside Out, or to find out how you may be able to help take a look at the Together Women website.